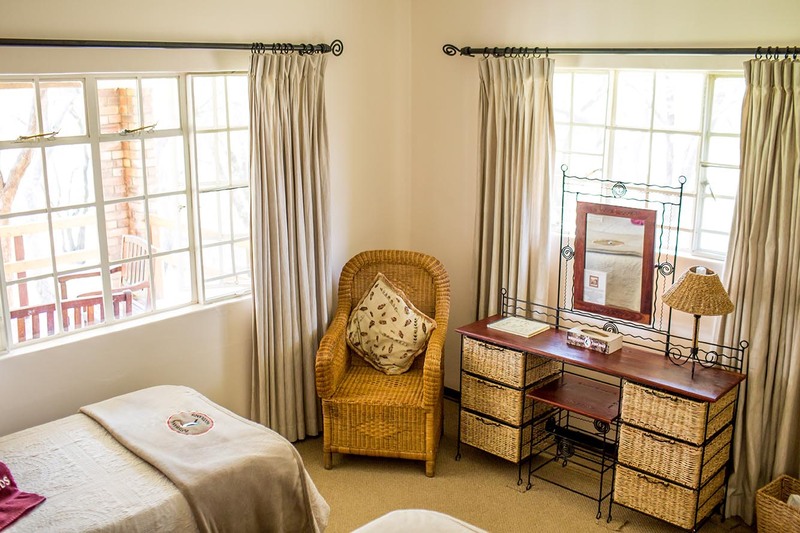 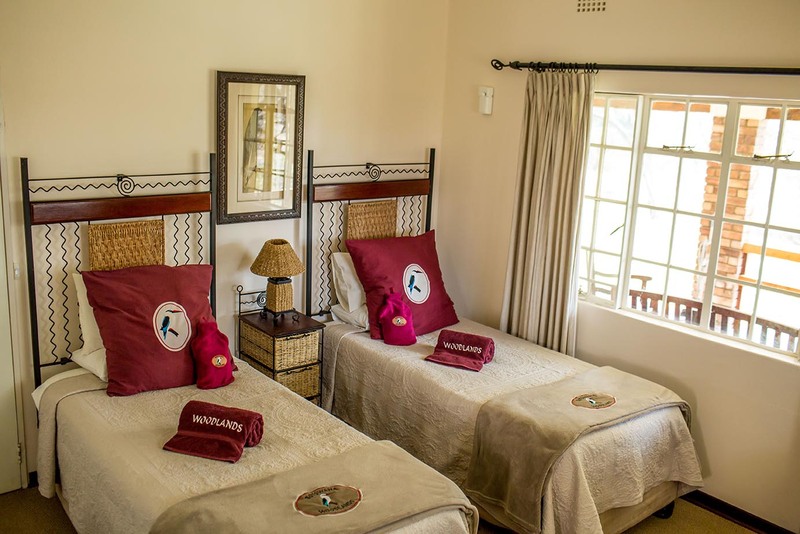 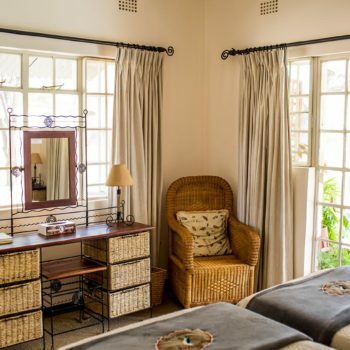 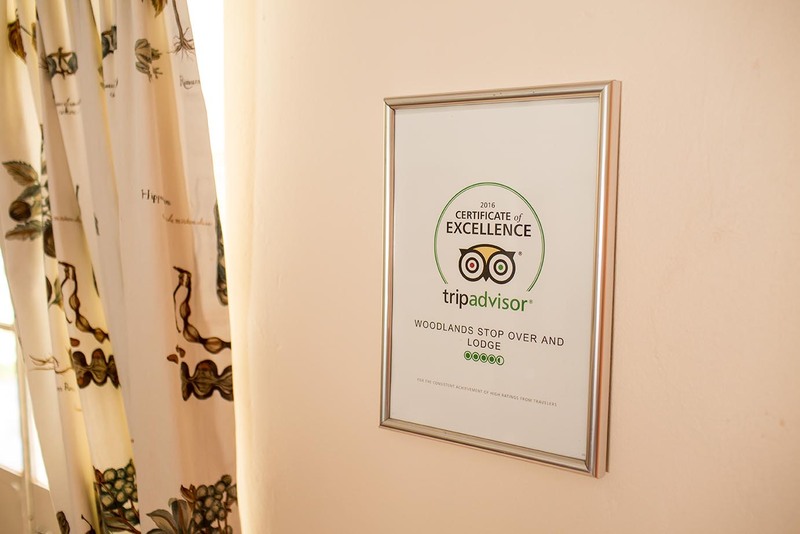 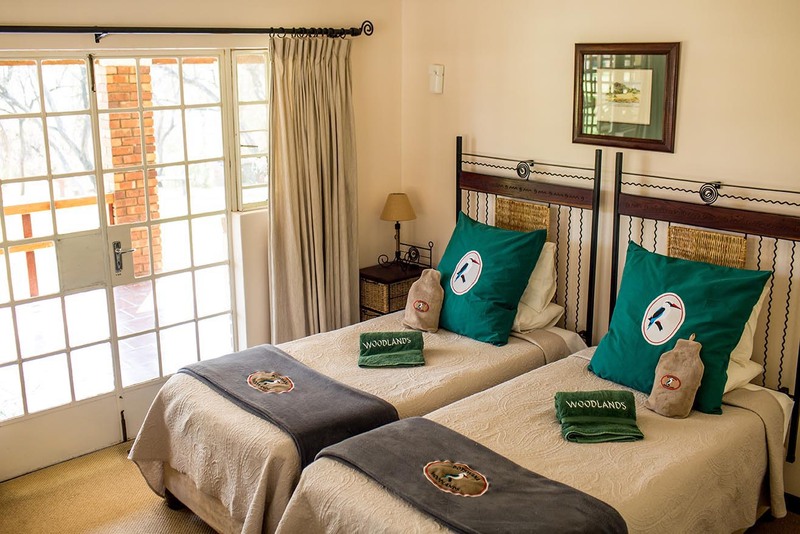 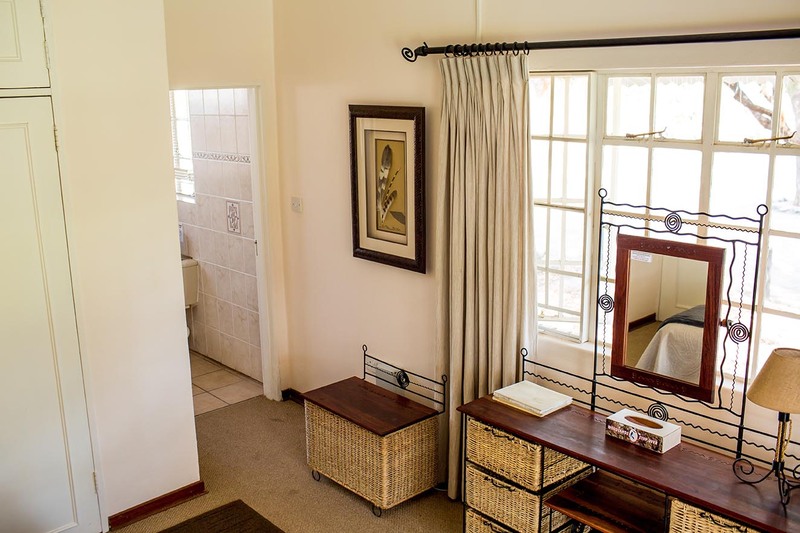 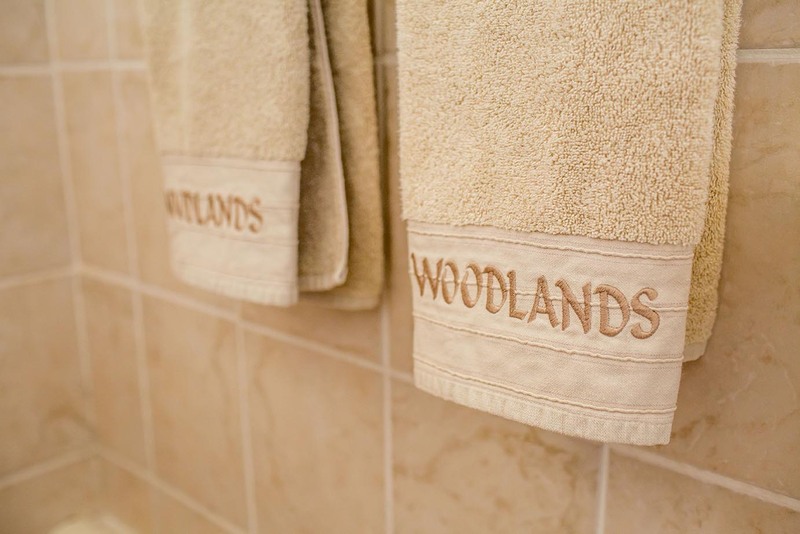 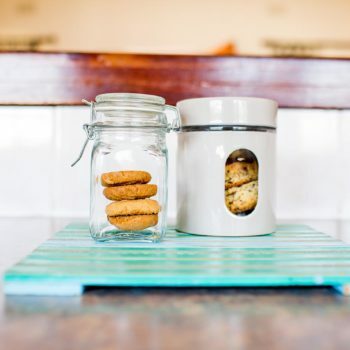 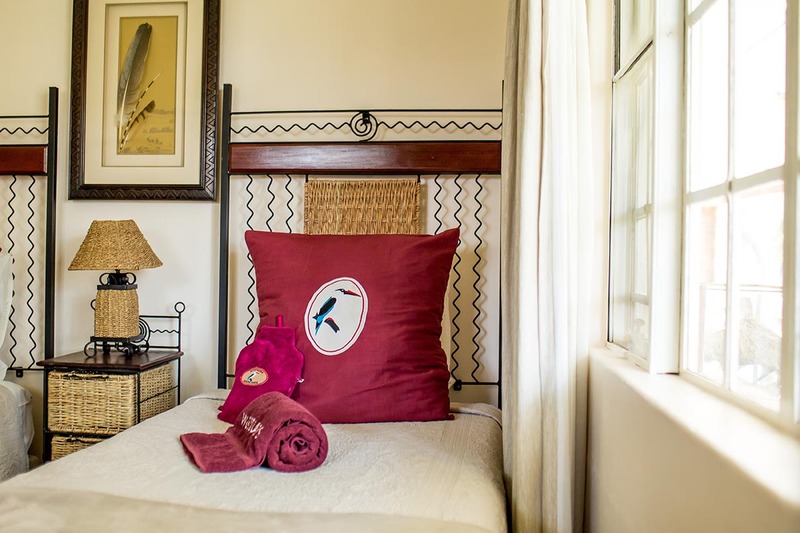 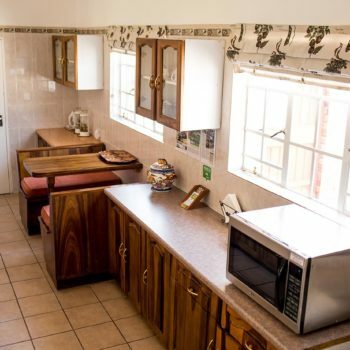 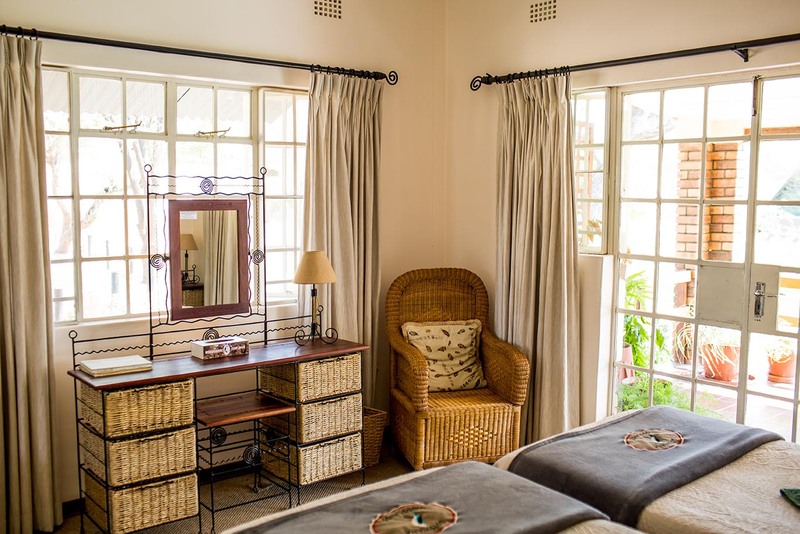 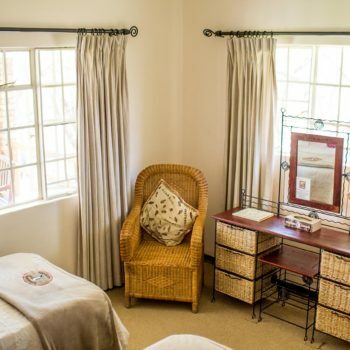 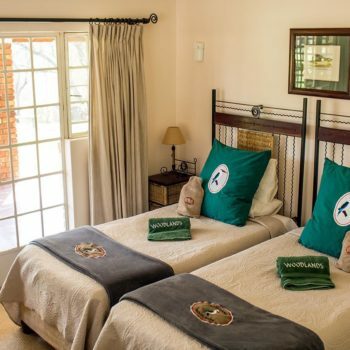 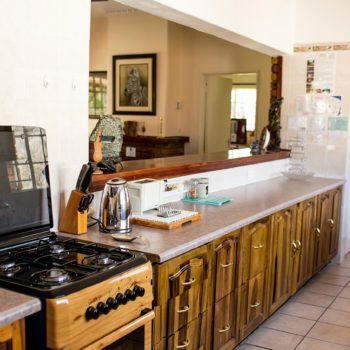 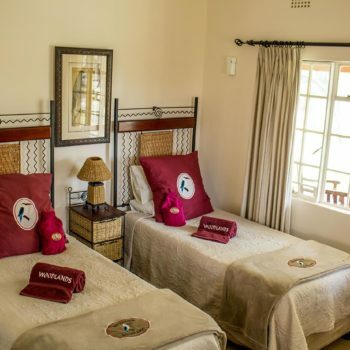 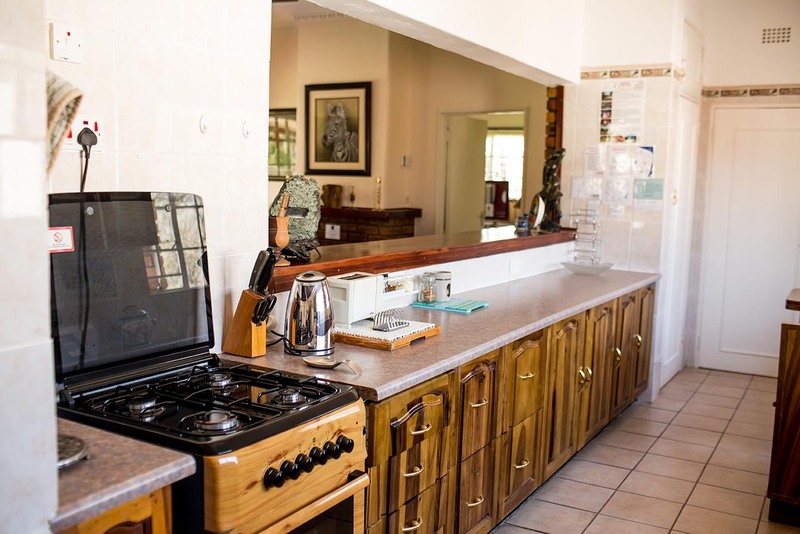 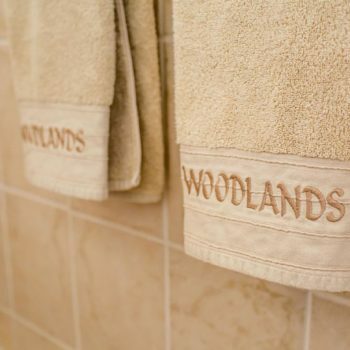 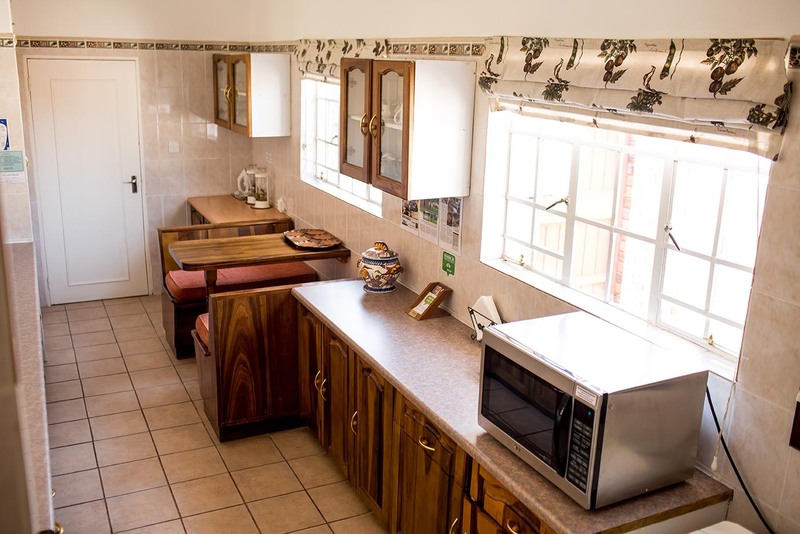 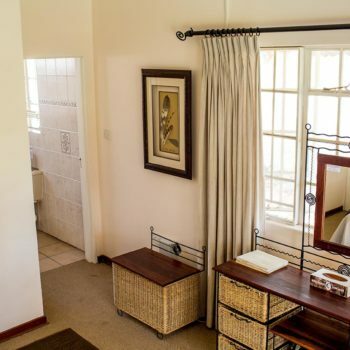 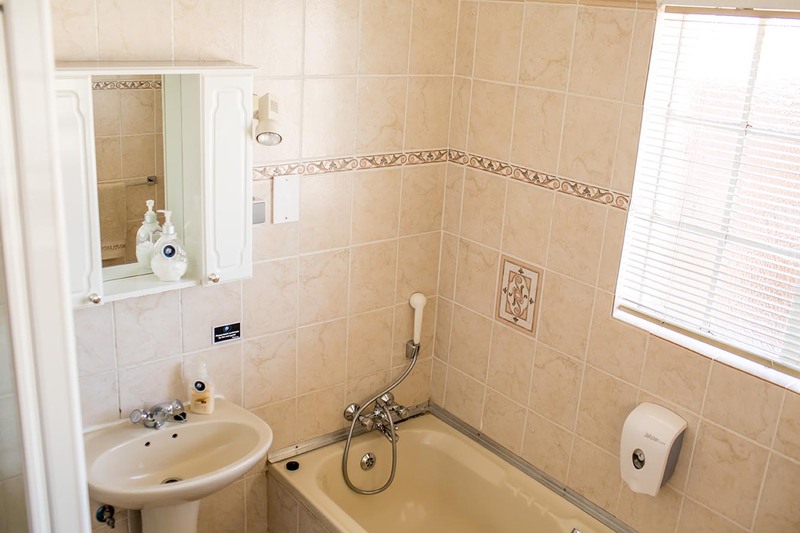 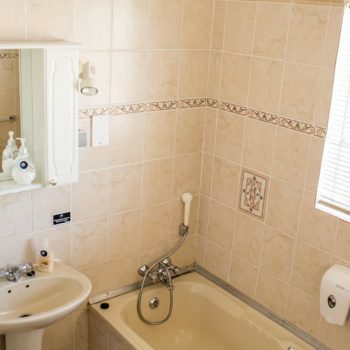 Our luxurious 2-bedroomed cottage is fully equipped for the self-catering traveller. 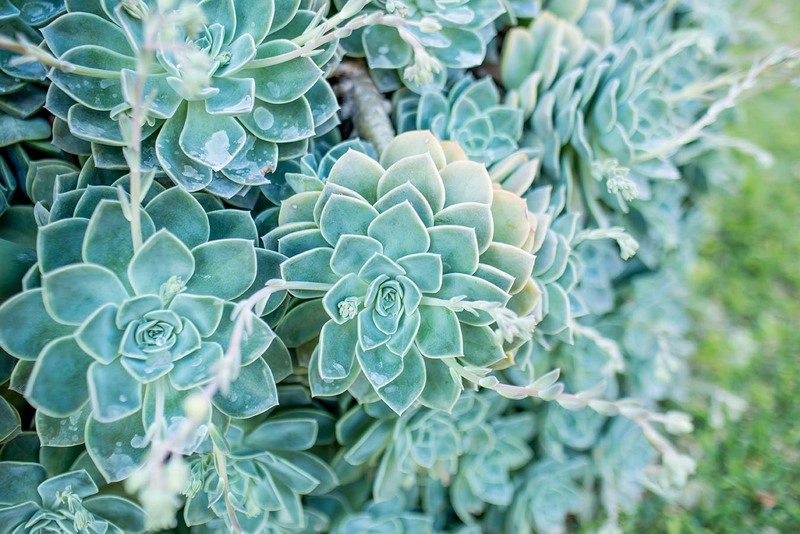 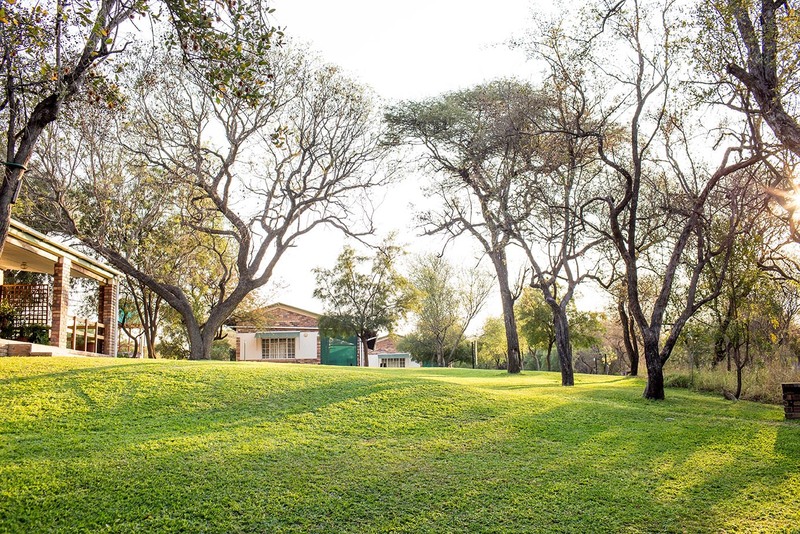 It is nestled amongst the trees along the beautiful banks of the Tati River. 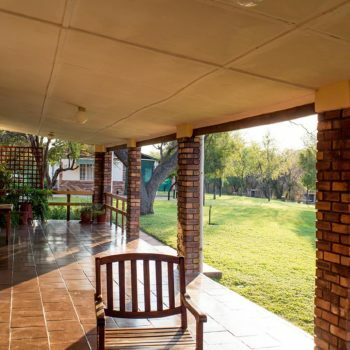 The full length veranda offers space and privacy. 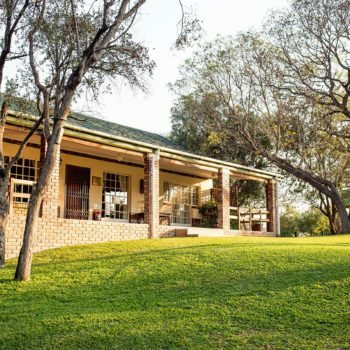 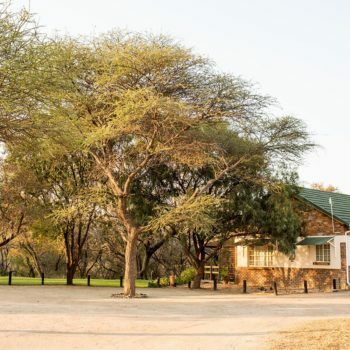 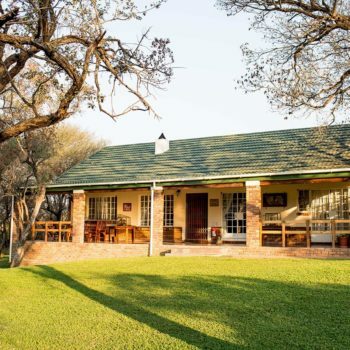 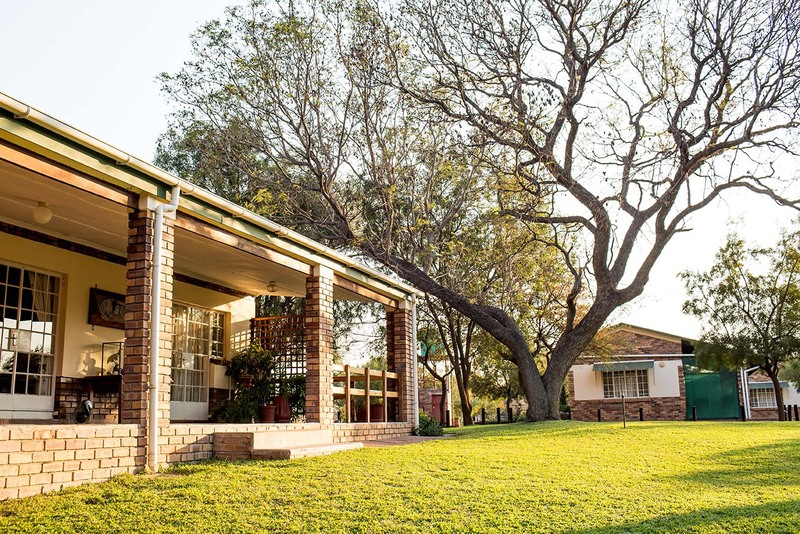 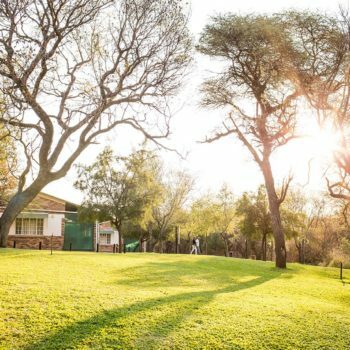 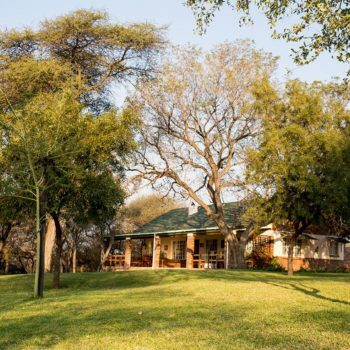 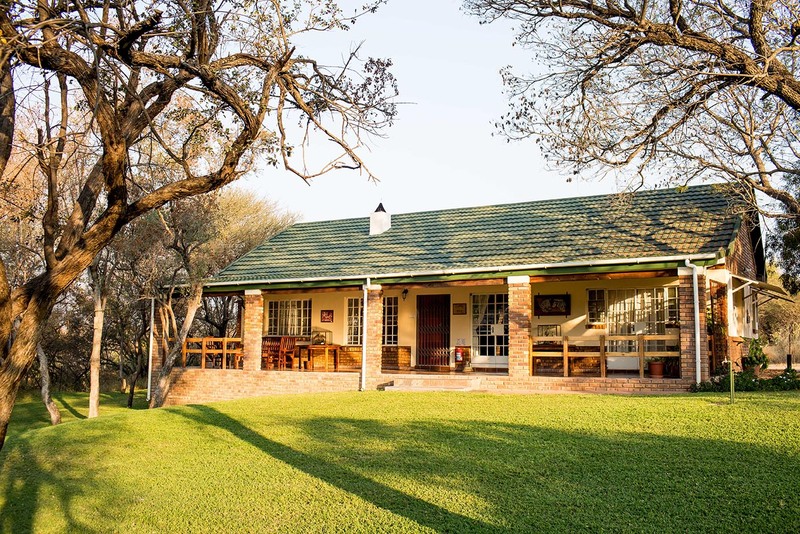 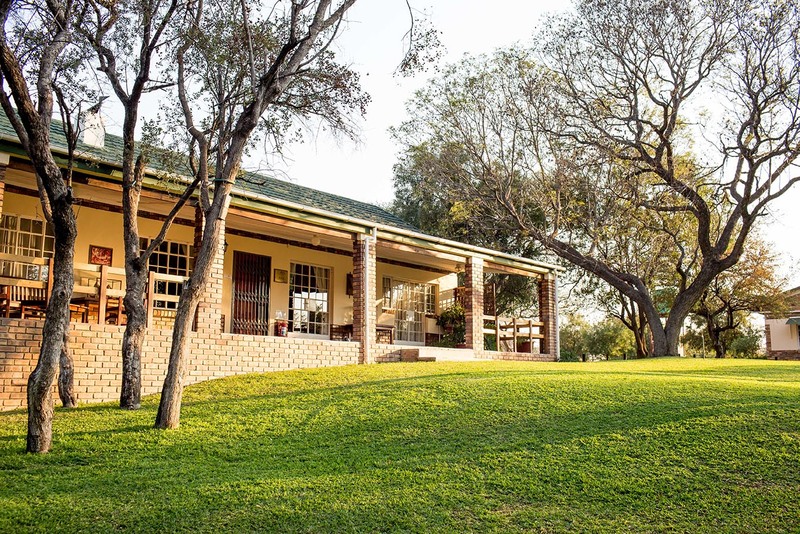 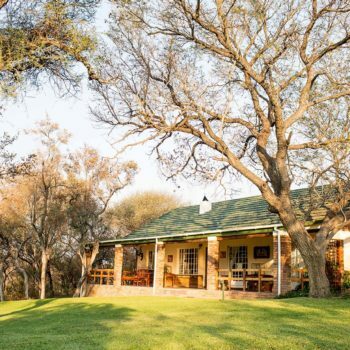 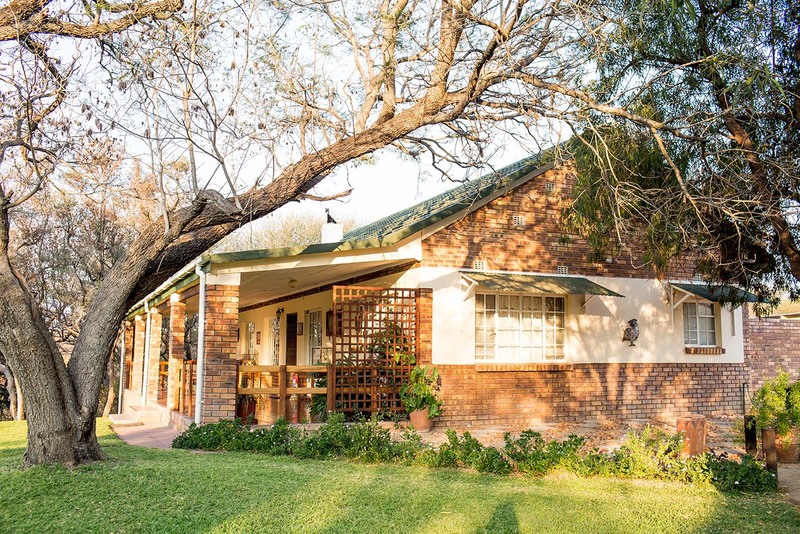 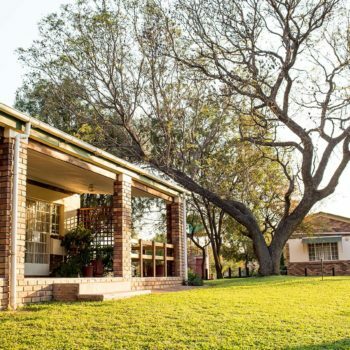 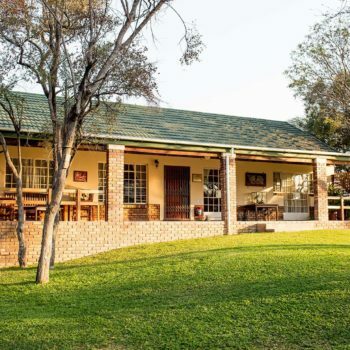 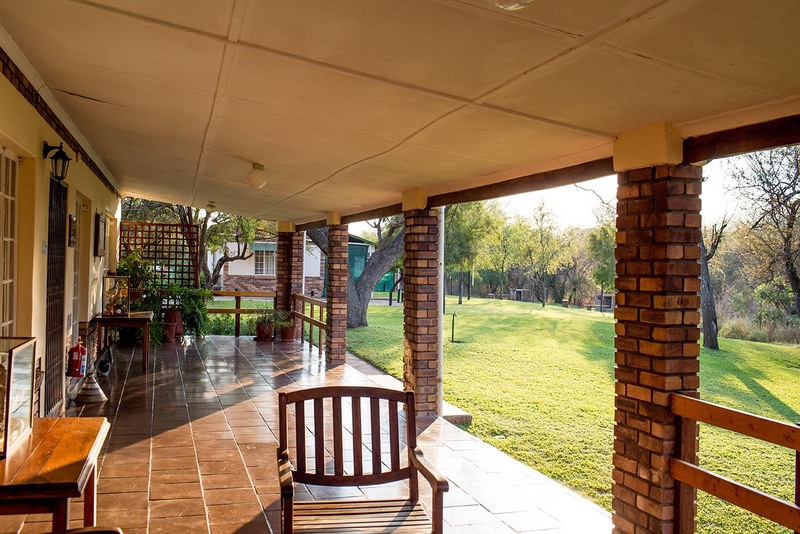 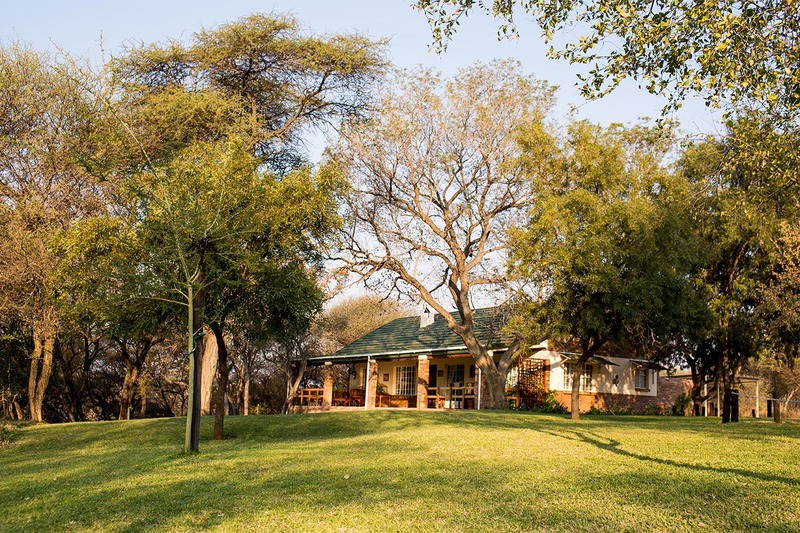 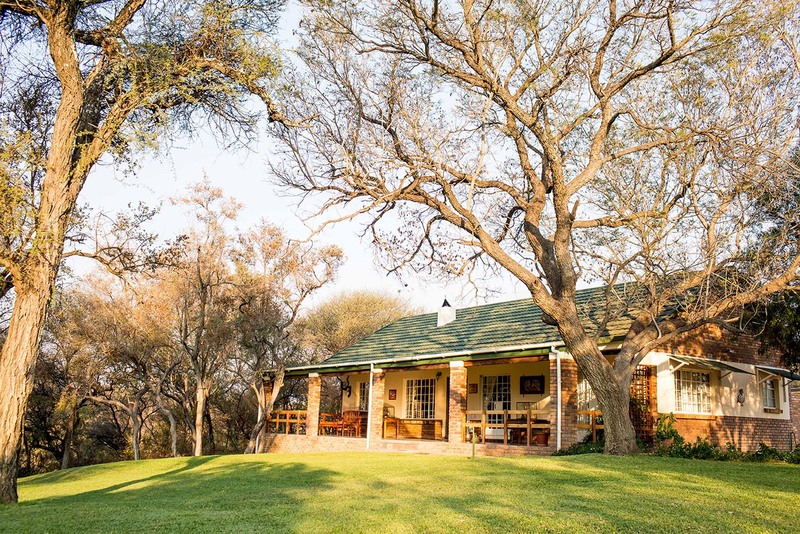 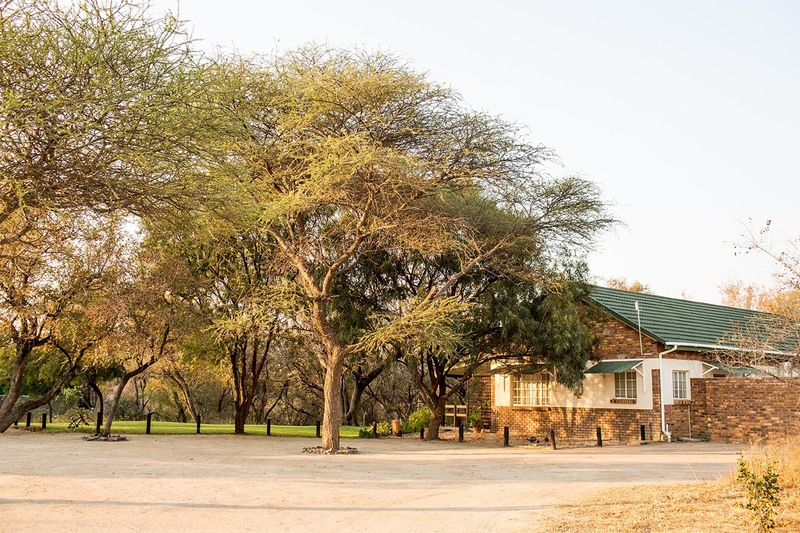 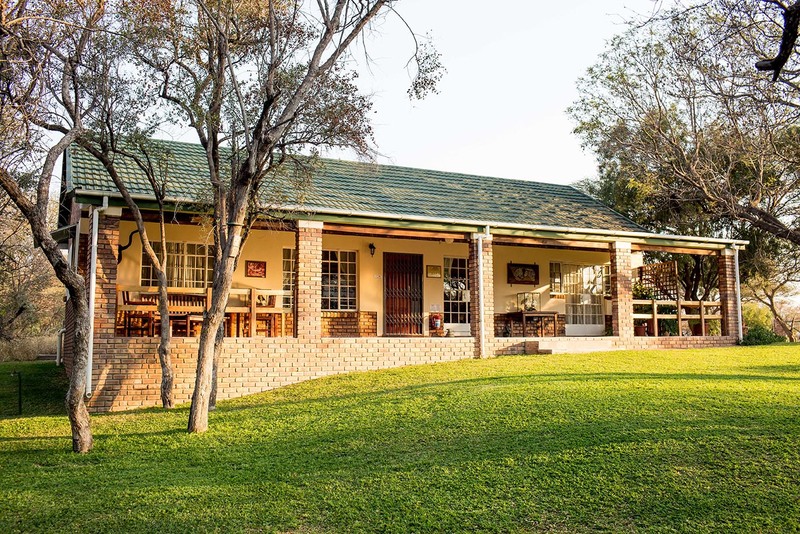 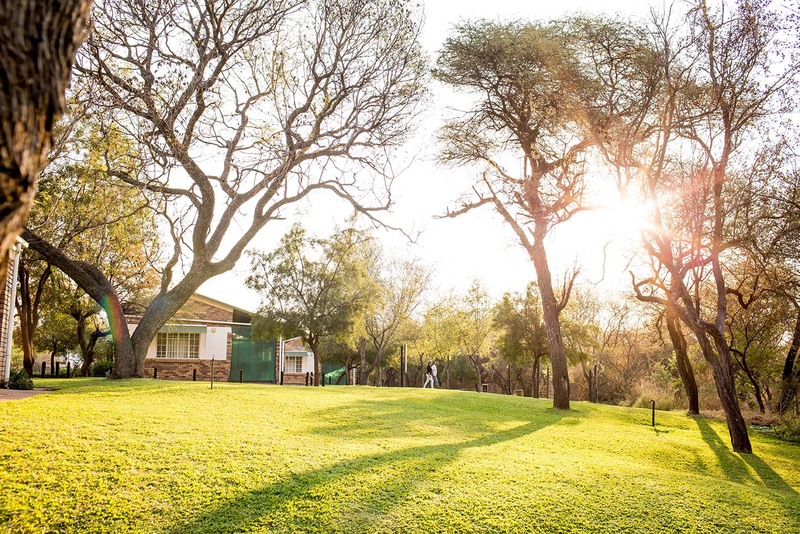 It overlooks a secluded, private braai area with the river visible behind. 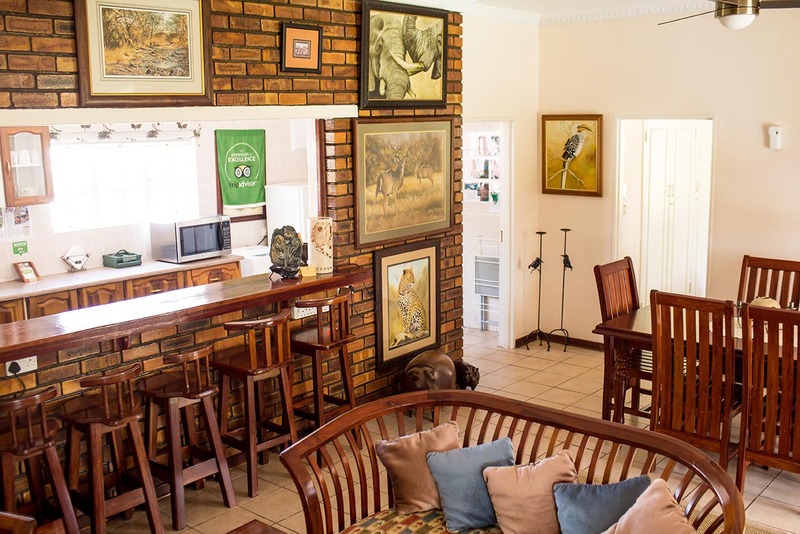 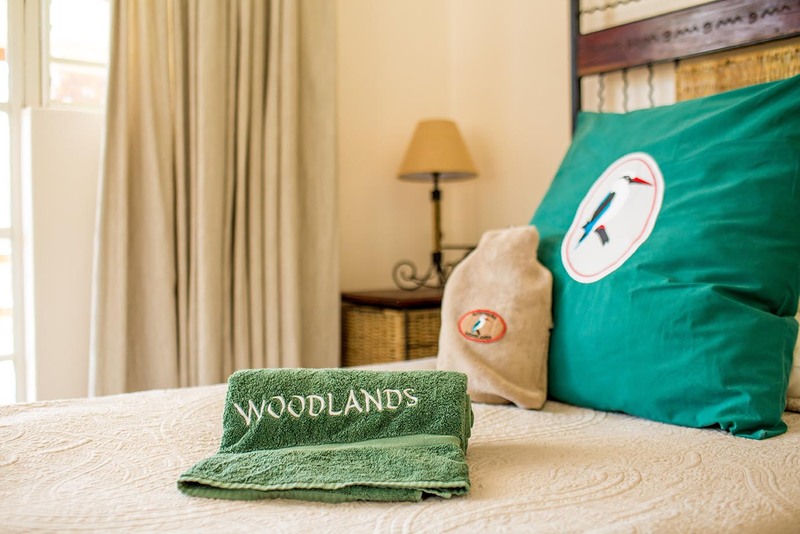 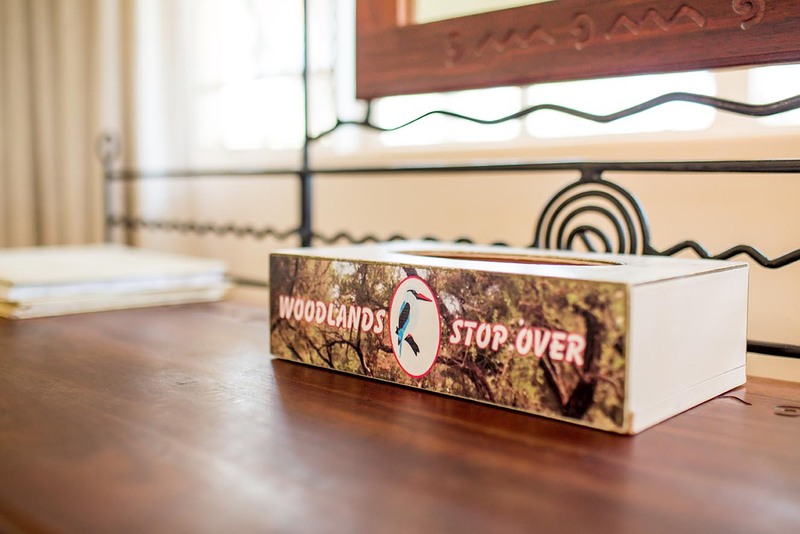 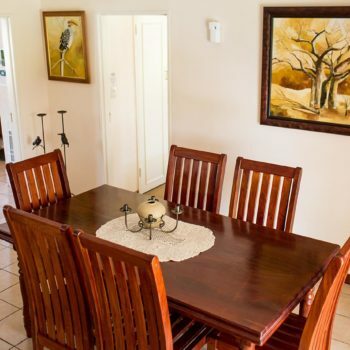 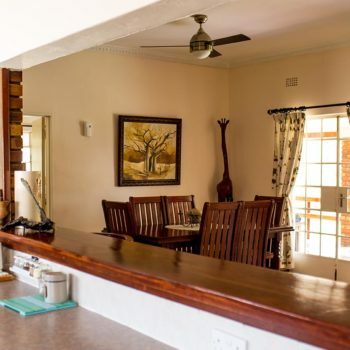 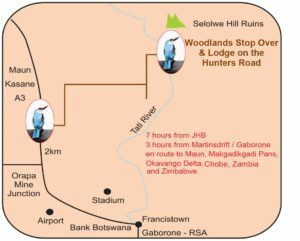 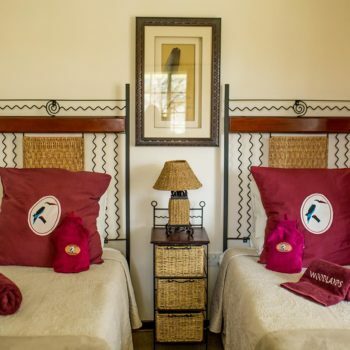 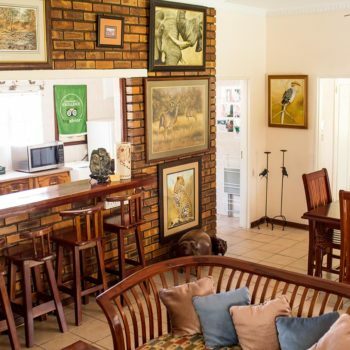 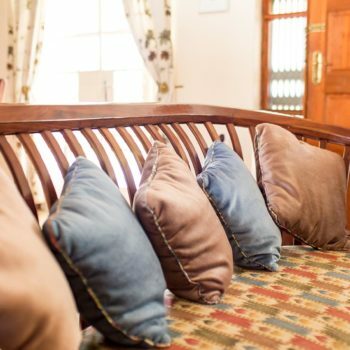 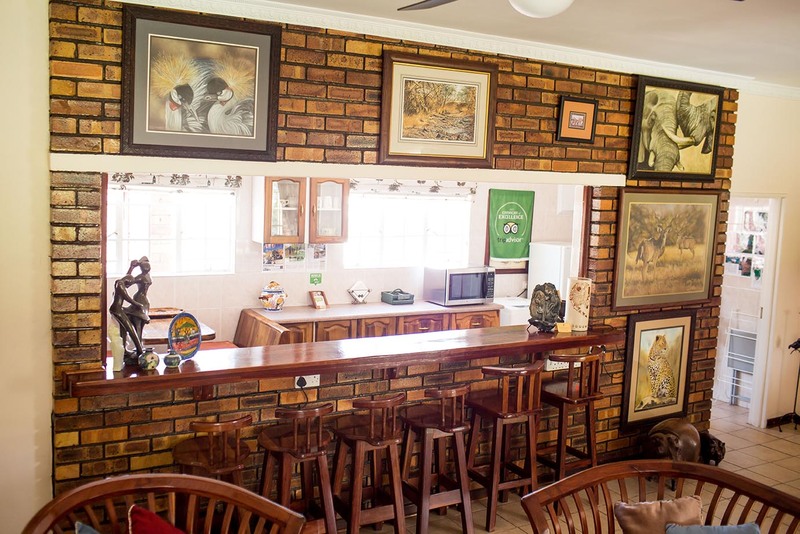 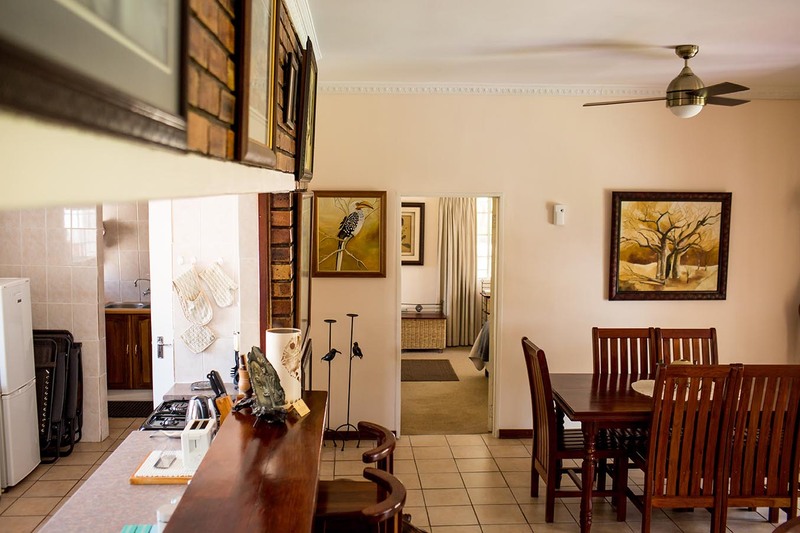 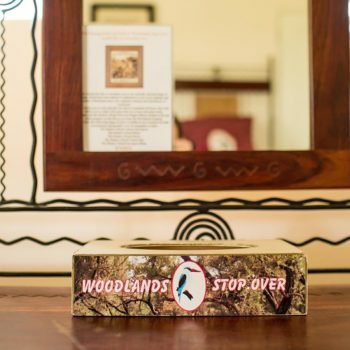 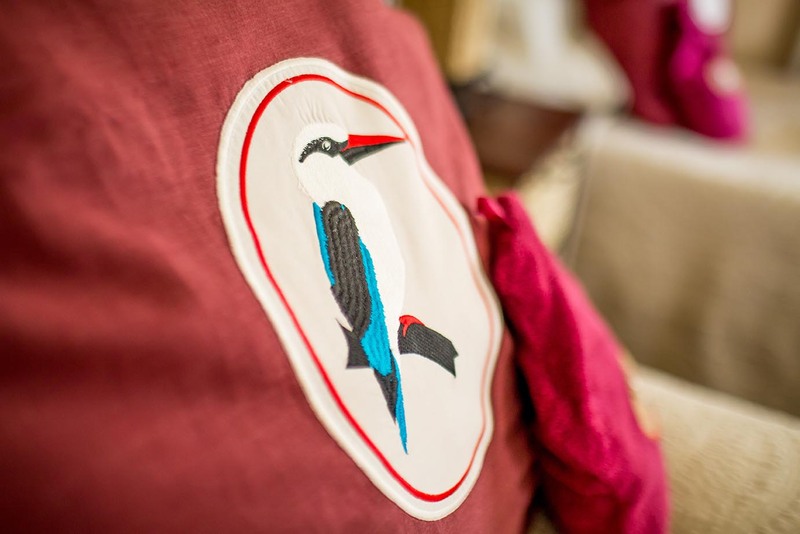 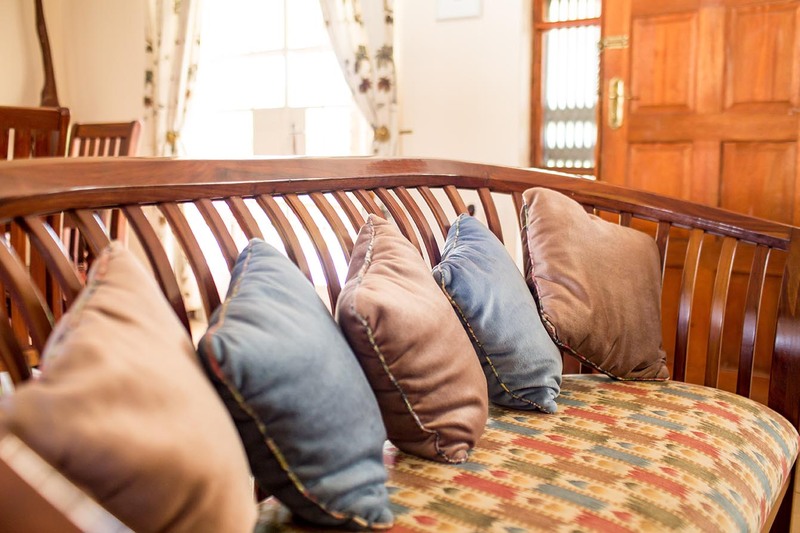 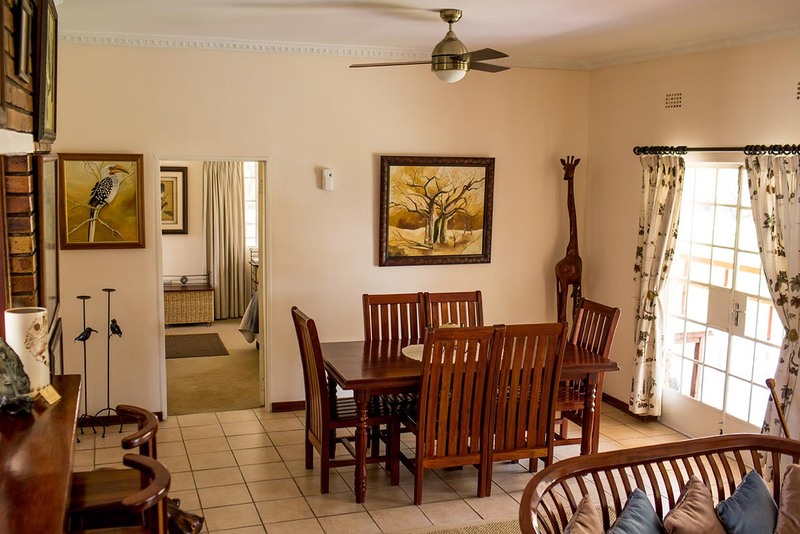 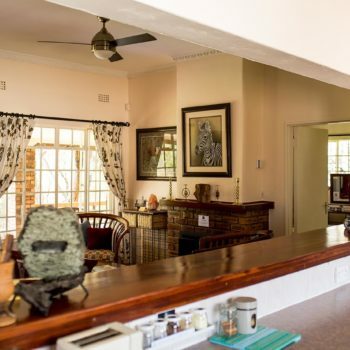 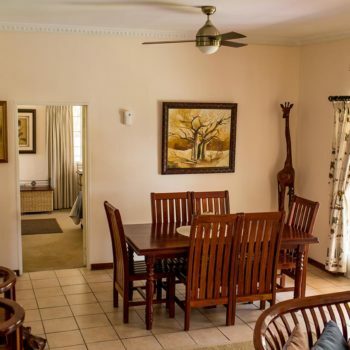 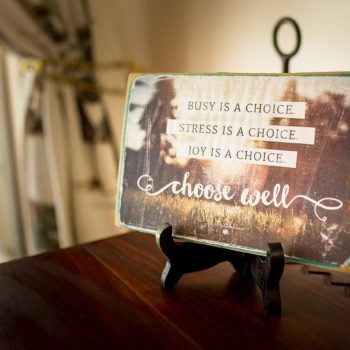 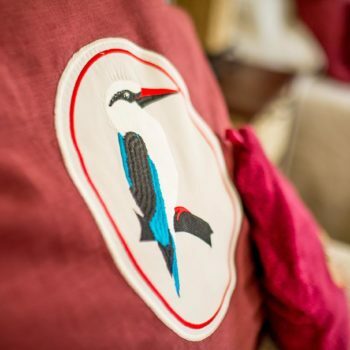 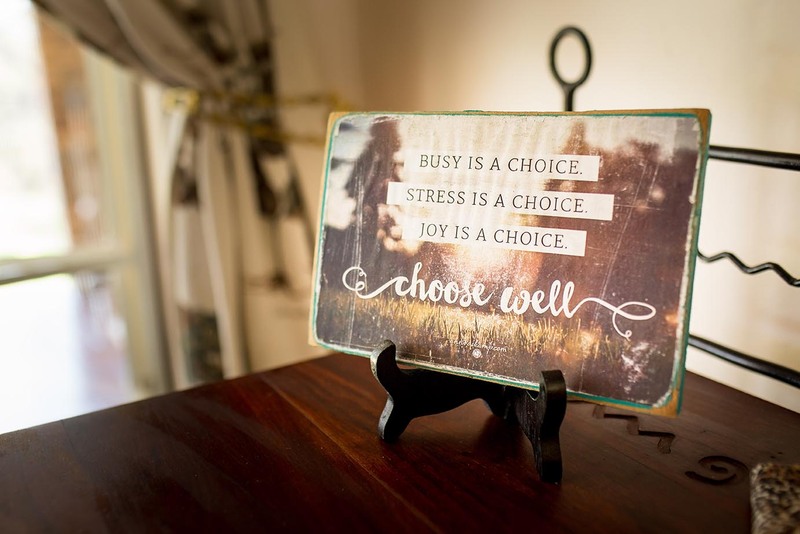 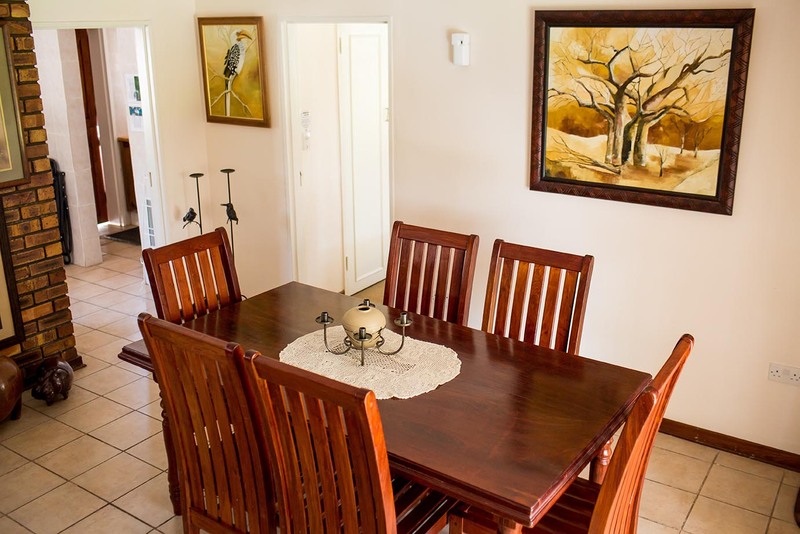 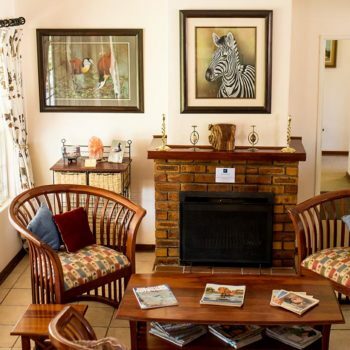 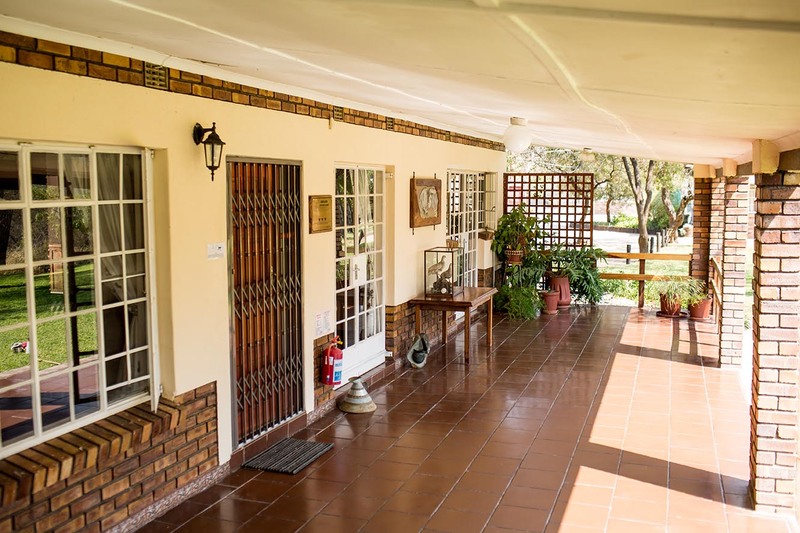 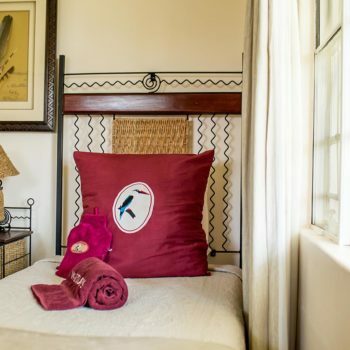 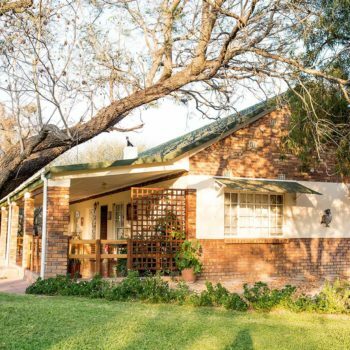 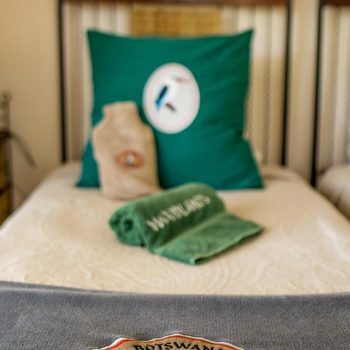 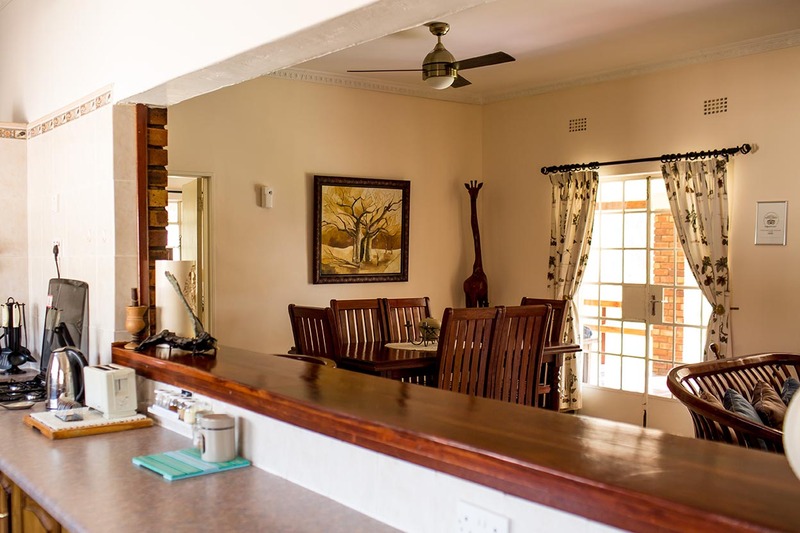 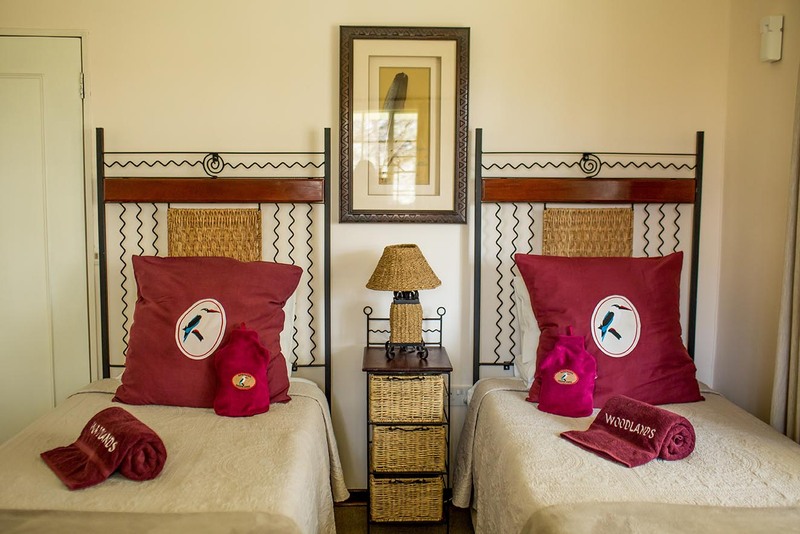 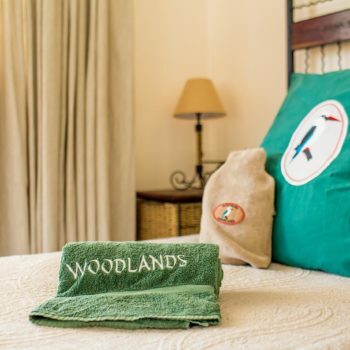 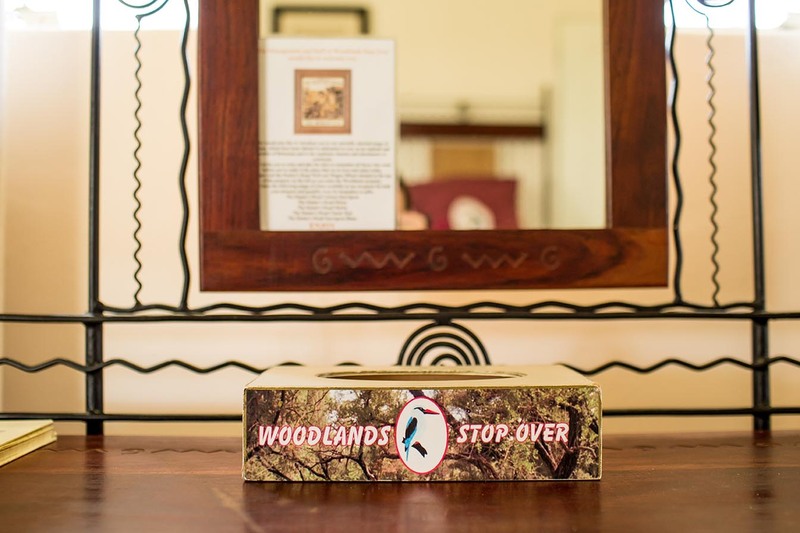 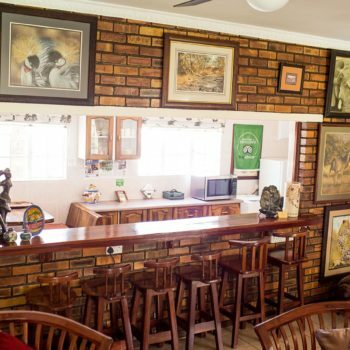 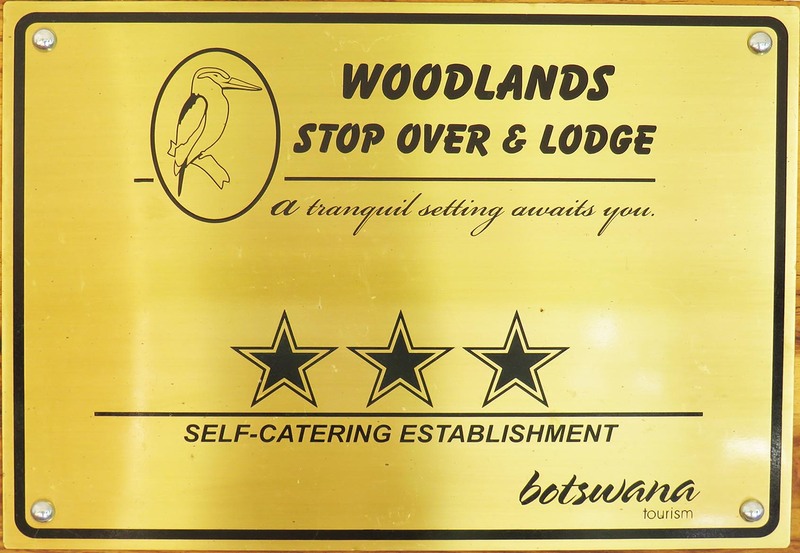 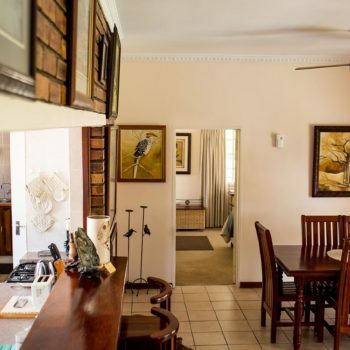 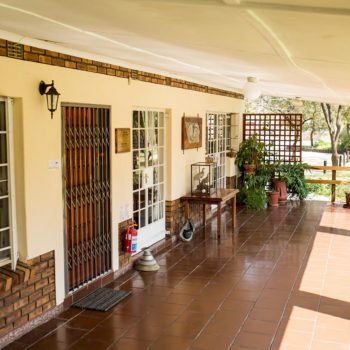 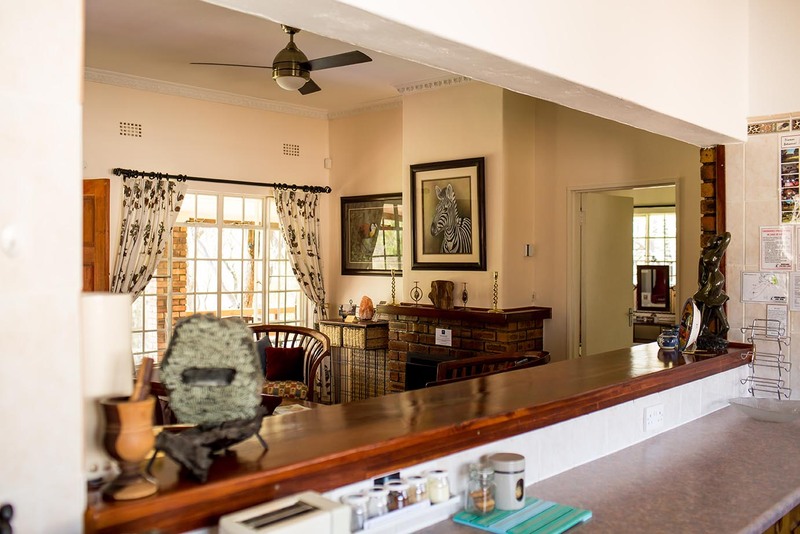 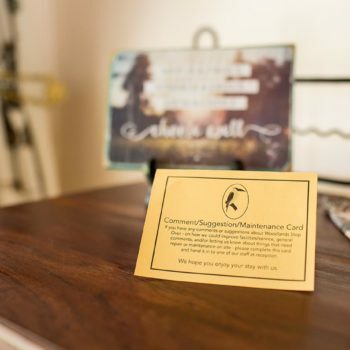 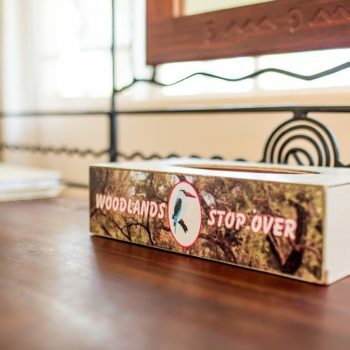 Rhodesian teak furniture and local art pieces create a warm and homely atmosphere. 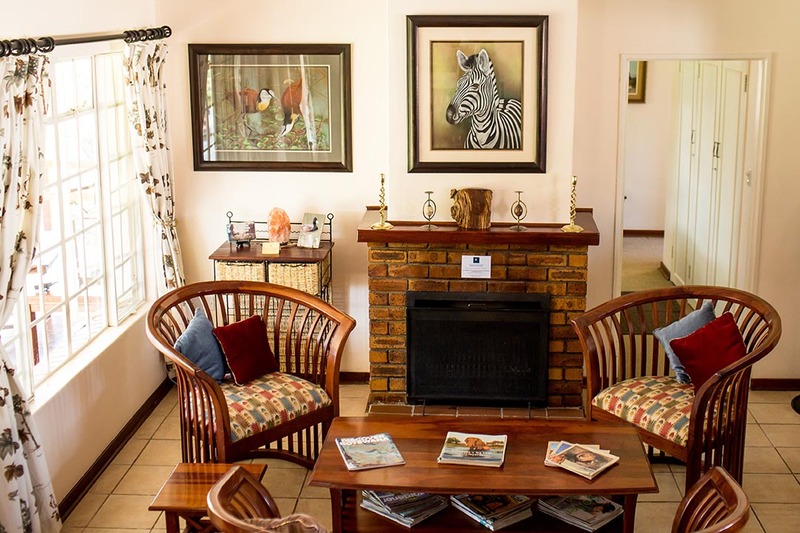 A feature area is the attractive fireplace for the chilly winter nights. 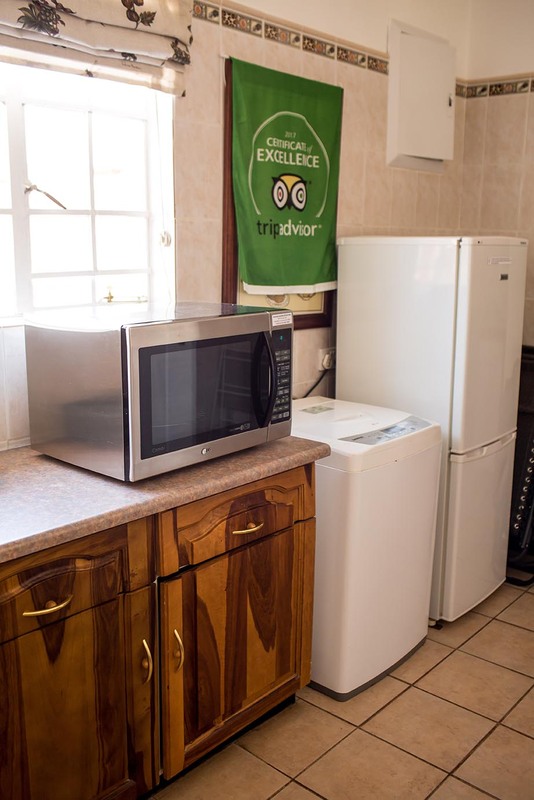 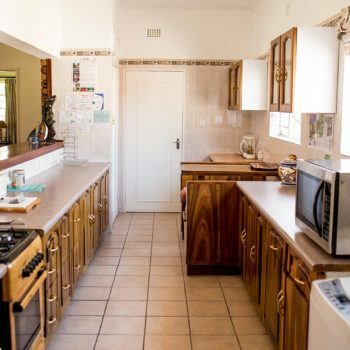 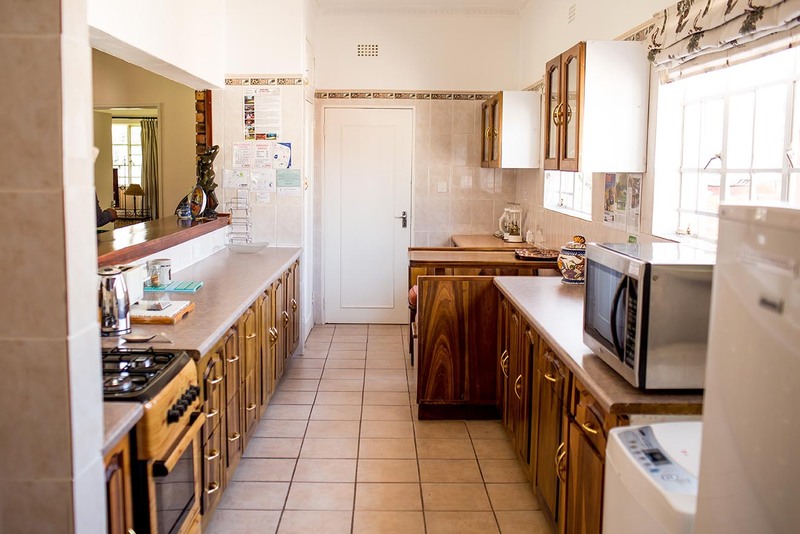 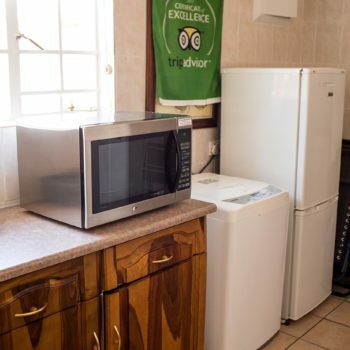 The spacious, fully kitted, kitchen will delight the caterer and family alike with a fridge, stove and microwave as in your home. 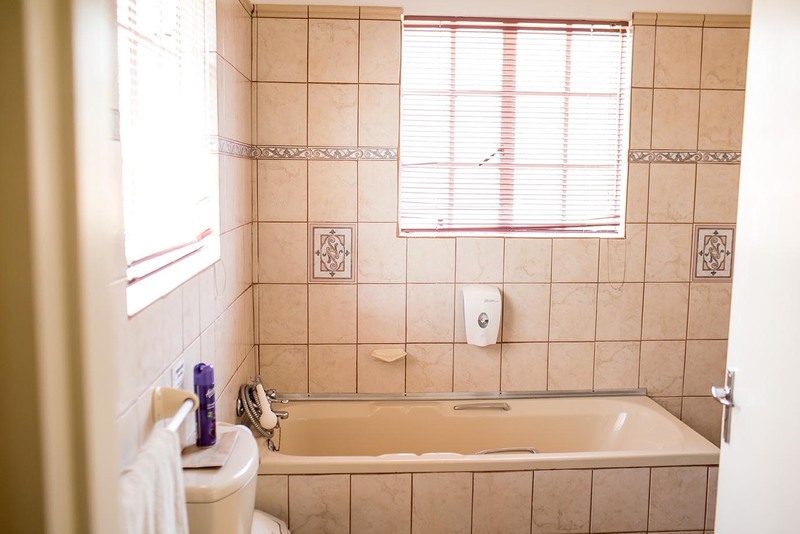 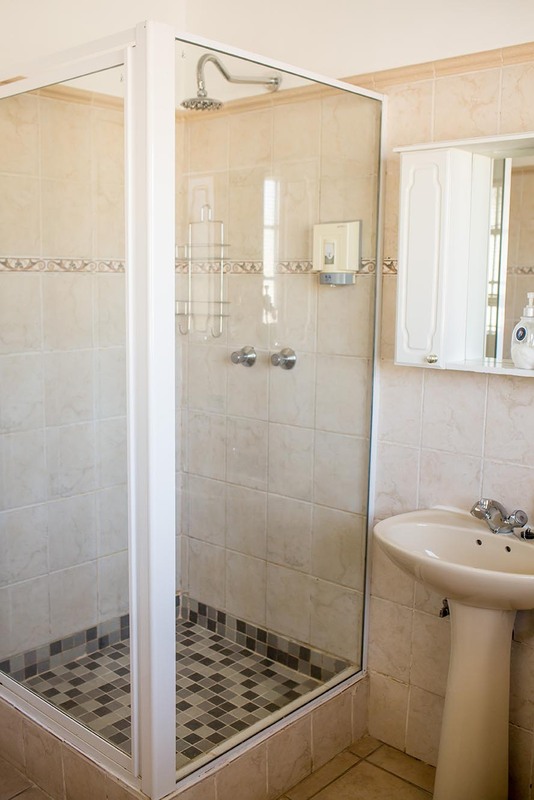 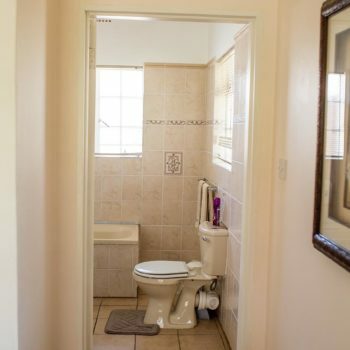 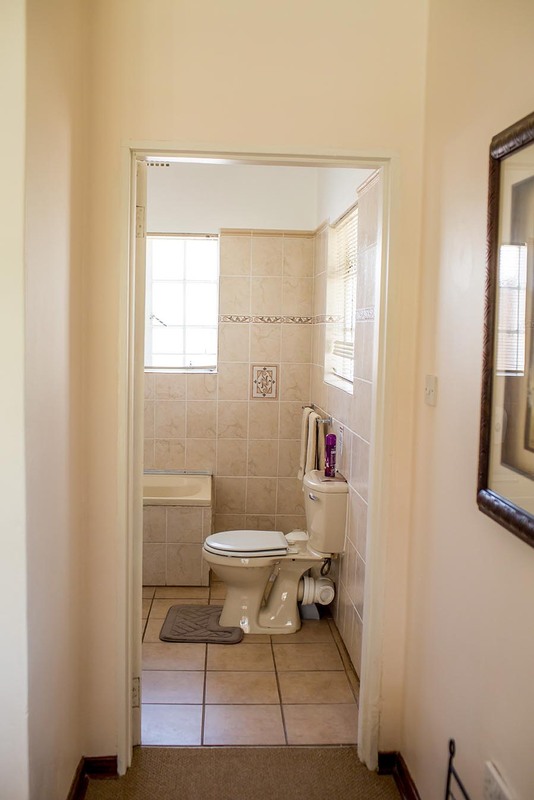 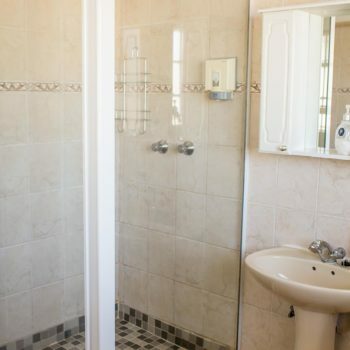 The two separate bedrooms each have two single beds and their own bathroom en-suite. 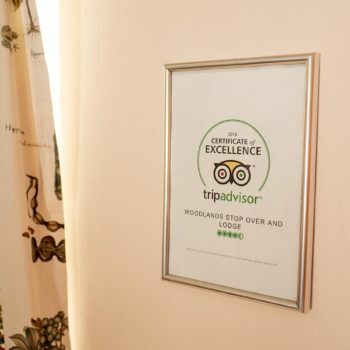 Clean crisp linen is provided. 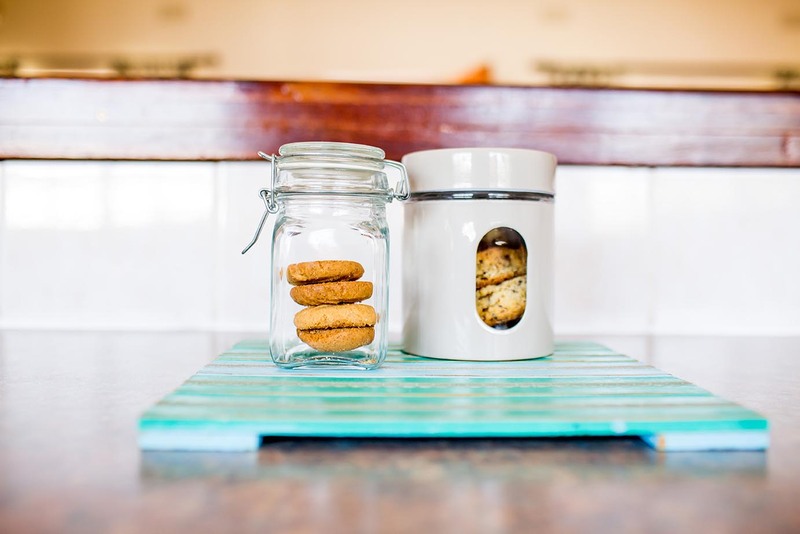 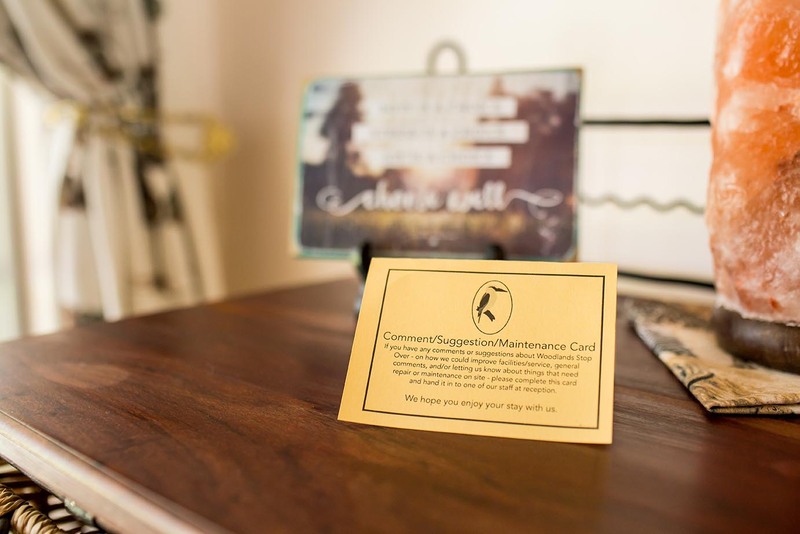 A breakfast basket is available on request whilst a complimentary tea & coffee station is provided. 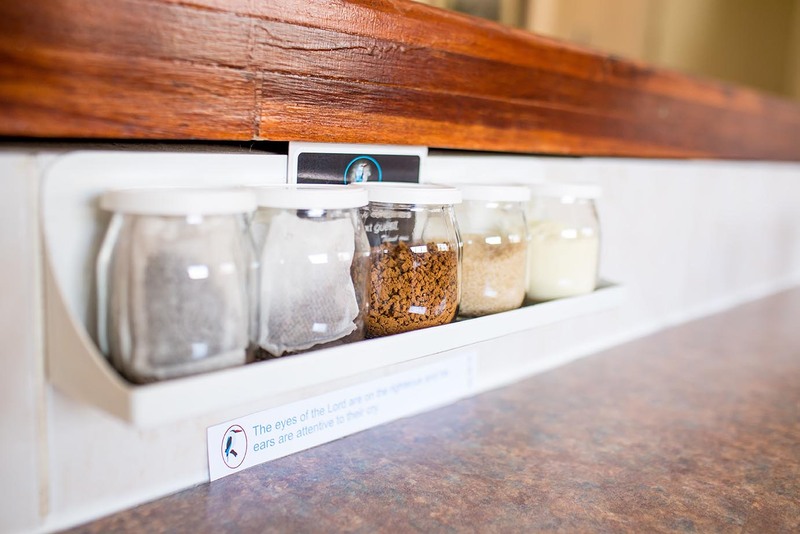 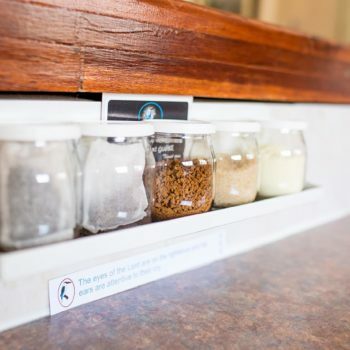 Delicious pre-prepared meals, “Mike’s Meals”, are available from the reception and can be warmed in your own kitchen for your enjoyment when ready. 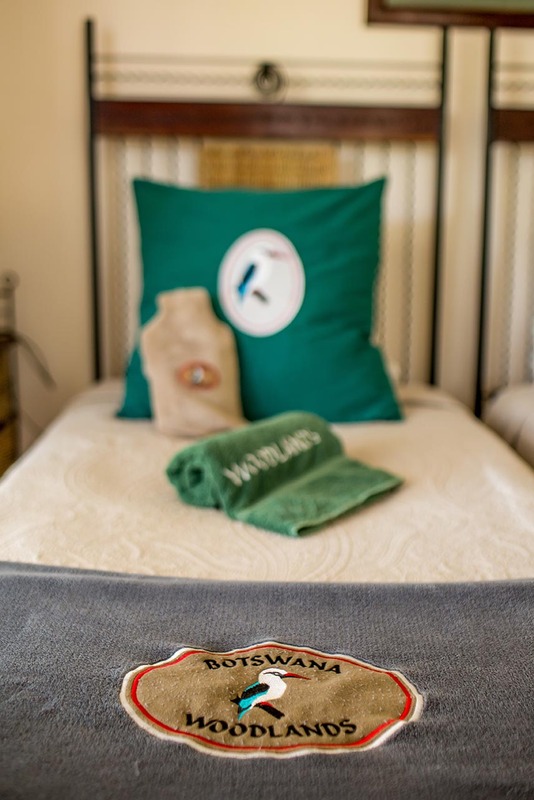 Proudly Botswana meat BRAAI PACKS are also available from the reception office. 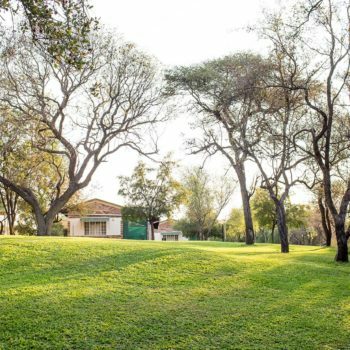 Parking is adjacent to the cottage for your convenience. 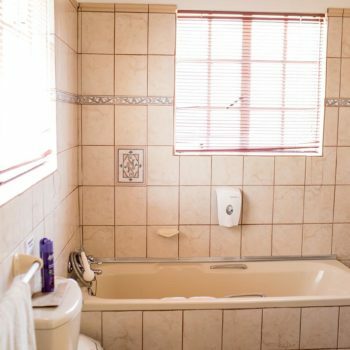 Sparkling swimming pool for residents’ use only.